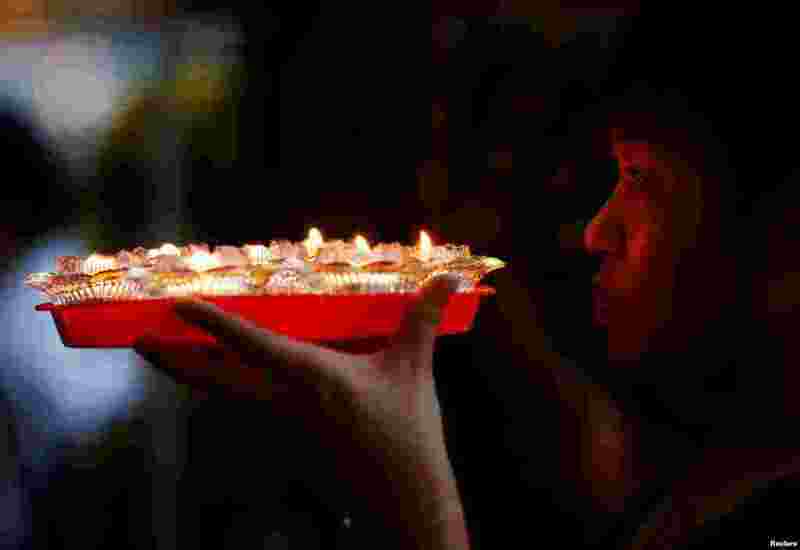 1 A devotee prays ahead of Vesak Day at Kong Meng San Phor Kark See Monastery in Singapore. 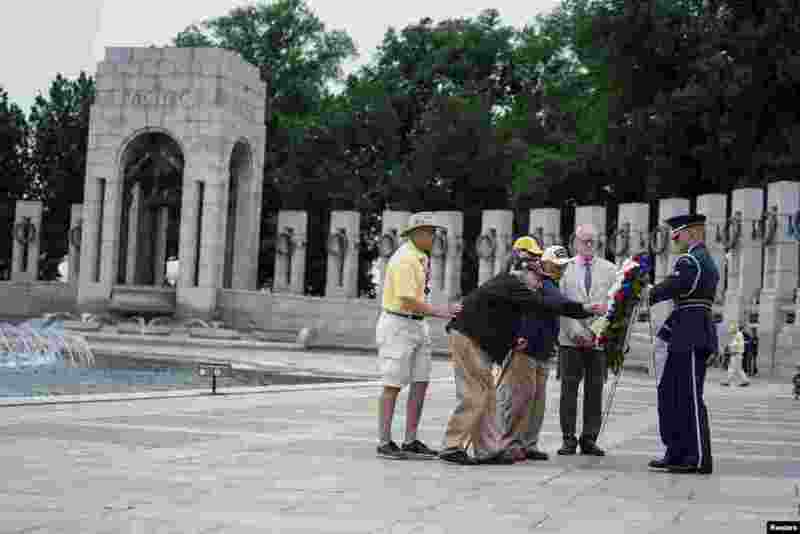 2 World War II veteran Bernard Friesland is presented with a wreath during a special Memorial Day Observance at the National World War II Memorial to pay tribute to the more than 400,000 servicemen and women who lost their lives during the war, in Washington, D.C.
3 Aboriginal performer known as 'Turtle' plays a didgeridoo as he participates in a ceremony with fellow performer Terry Olsen to mark the start of National Reconciliation Week for Aboriginal and Torres Strait Islanders in Sydney, Australia. 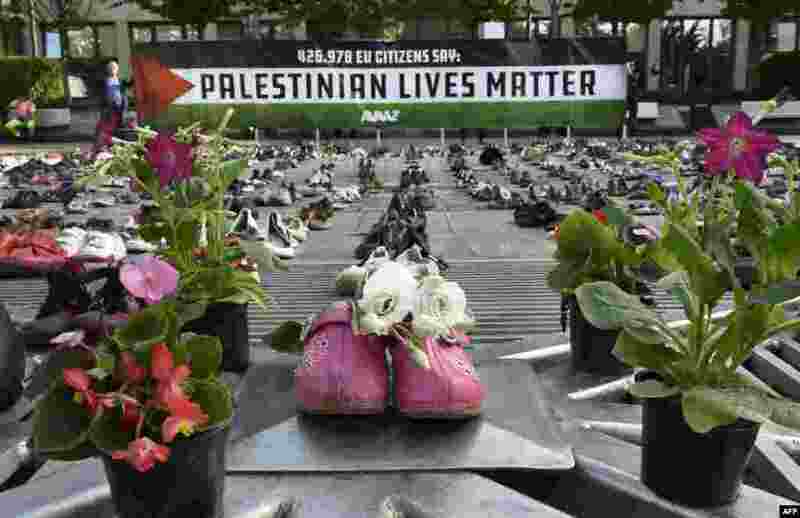 4 An installation of 4,500 shoes representing every life lost in the Israel-Palestine conflict since 2009 is displayed by a global civic organization Avaaz ahead of the EU Foreign ministers meeting in Brussels, Belgium.